This beautiful city is known as the “Holy City” because of the abundance of churches on the city skyline. As they approached Charleston from the sea, the colonial sailors could see 20 church steeples. Charleston boasts over 400 places of worship of many different denominations throughout the city, religion is deeply embedded in this city’s rich culture. This Steepled church in the historic Battery Park section of Charleston is one of my favorite to take clients to during the blue light hour. 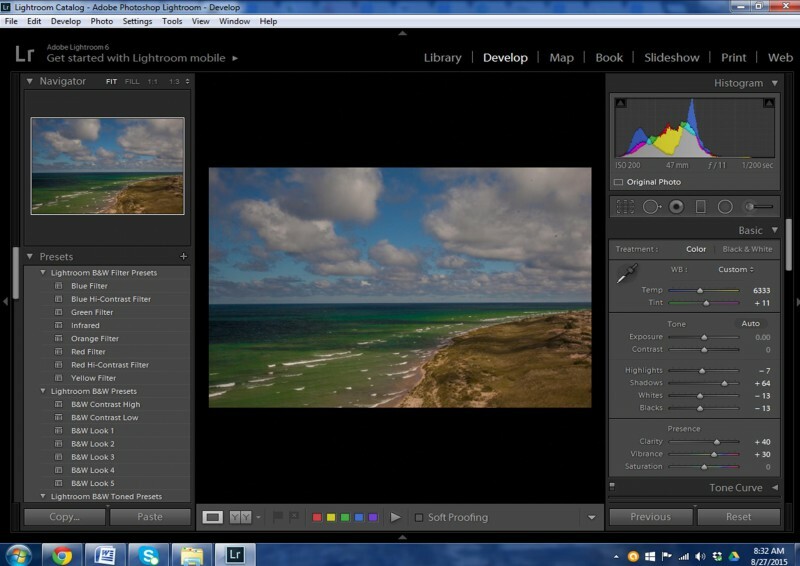 This image was captured during the Lake Michigan workshop. To create this image I processed two images in the lightroom Develop Pallet and then used Lightroom’s Panoramic blend mode to create a single Panoramic image. After creating this Panoramic image I used Topaz Clarity to give it a little pop. Our Lake Michigan shoreline reminds me of the beaches along North Carolina’s Outer Banks both have wonderful sand, dune grass, wild sea oats and lighthouses. Michigan like the Outer Banks has great lighthouses and more of them. Between North and South Carolina there are 16 lighthouses while Michigan has 127 remaining lighthouses. This is one of the two raw image processed in lightroom only before using Topaz Clarity to make it pop. Click here to get to my Links page for the discount code for ReMask 5. 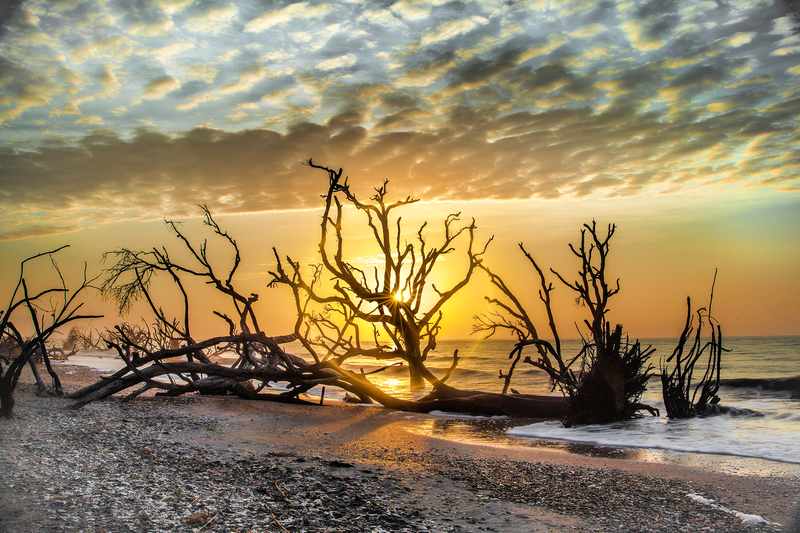 Along the South Carolina coast there are stretches of shore line where the ocean has reclaimed some of the land and the trees stand in the water like skeletons from our past. These skeletons will stand for a while against the forces of nature but will eventually be toppled over to be reclaimed by the winds and tides. Topaz Labs Star Effects helped to give me this nice starburst of the sun as it peeked out from behind the tree. The Star Effects software also brought out the halo effect. To capture the dynamic range of this image I took three images. I used a three images burst setting the exposures for +2 stops,0, and -2 stops. This allowed me to blend the 3 images in an HDR program which gave me detail in the shadows and highlights.